Evidence suggests there may be even more varieties and hence sub - species to come. 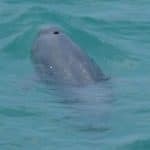 What do Indo-Pacific finless porpoises look like? Small and stream-lined and as their name suggests, lacking a dorsal fin. Instead they have a ridge running the length of their back, which is covered in wart-like tubercles. They also don’t have a beak and have a pretty bulbous head relative to their size. What’s life like for an Indo-Pacific finless porpoise? Busy. 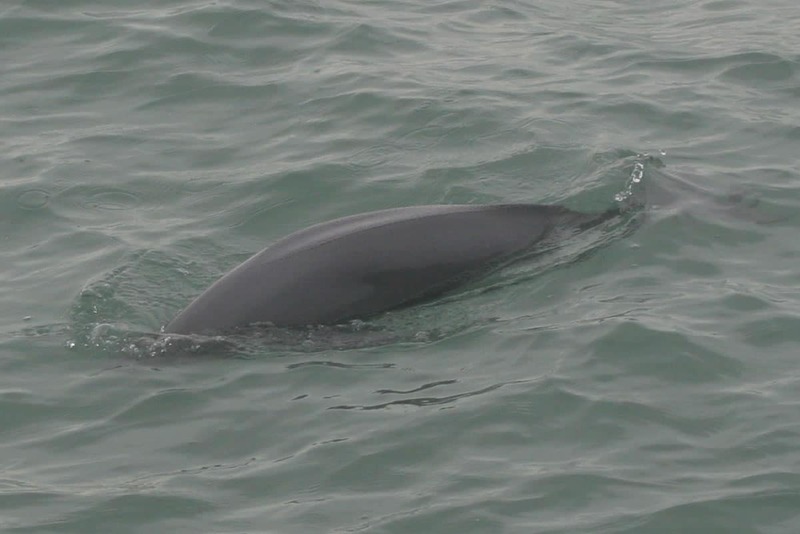 Finless porpoise are very active and have been seen to ‘dart’ about just under the water surface, changing direction quickly and often. 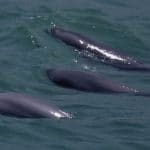 They prefer to be either alone or in small groups and are known to be very shy of boats and humans, the latter of which present multiple threats to the very existence of these little porpoises. 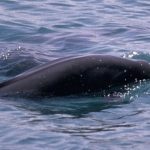 What do Indo-Pacific finless porpoises eat? Being amongst the smallest species of whale, dolphin and porpoise the diet of the Indo-Pacific finless porpoise is composed of some of the smaller examples of bottom-dwelling fish, crabs, shrimp, octopus, squid and even cuttlefish. 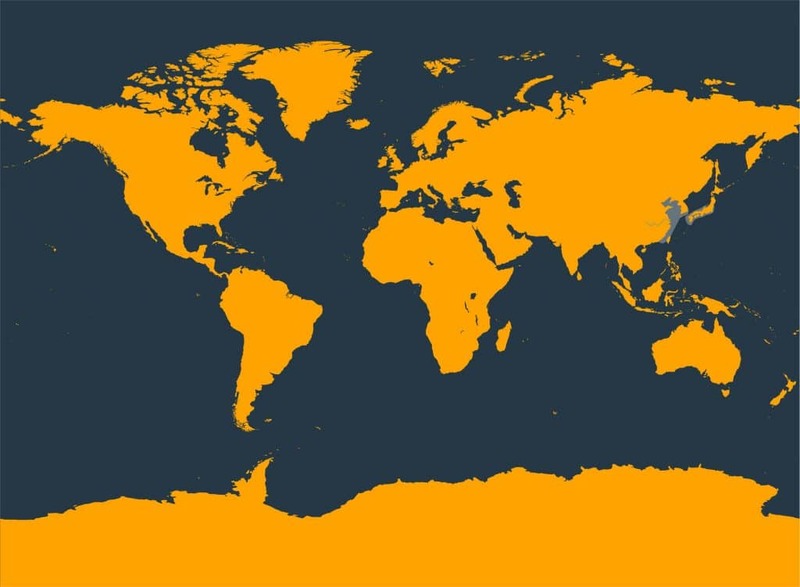 Where do Indo-Pacific finless porpoises live? 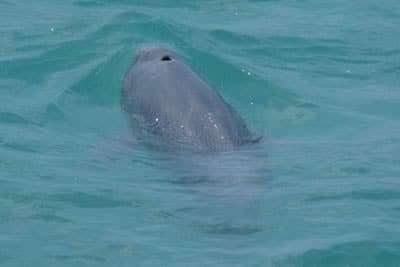 Indo-Pacific finless porpoises appear to have a preference for waters with a soft or sandy bottom and as a result, they like to live in shallow, coastal waters including estuaries, bays and mangrove swamps. They’re found in such waters from the southern East China Sea west to the Indo-Malay region (avoiding the Philippines) and on through the Indian Ocean to the Persian Gulf. 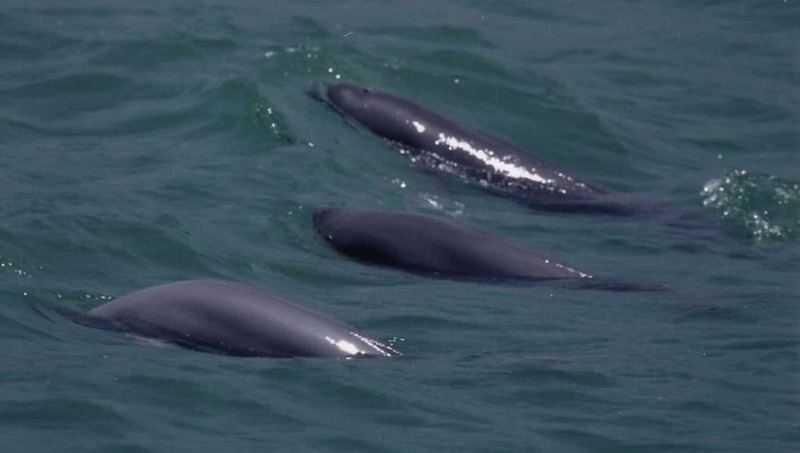 The calves of Indo-Pacific finless porpoises have been seen riding on the back of their mother, gripping the dorsal ridge and coming out of the water when the mother breathes. Entanglement in fishing gear – their preference for nearshore waters brings them into close contact with a variety of fishing gear. Thousands upon thousands of Indo-Pacific finless porpoises die each year as a result of entanglement in fishing gear. In most places this occurs they’re either used for food or placed in captivity. Pollution – one of the burgeoning threats facing Indo-Pacific finless porpoise throughout their range.